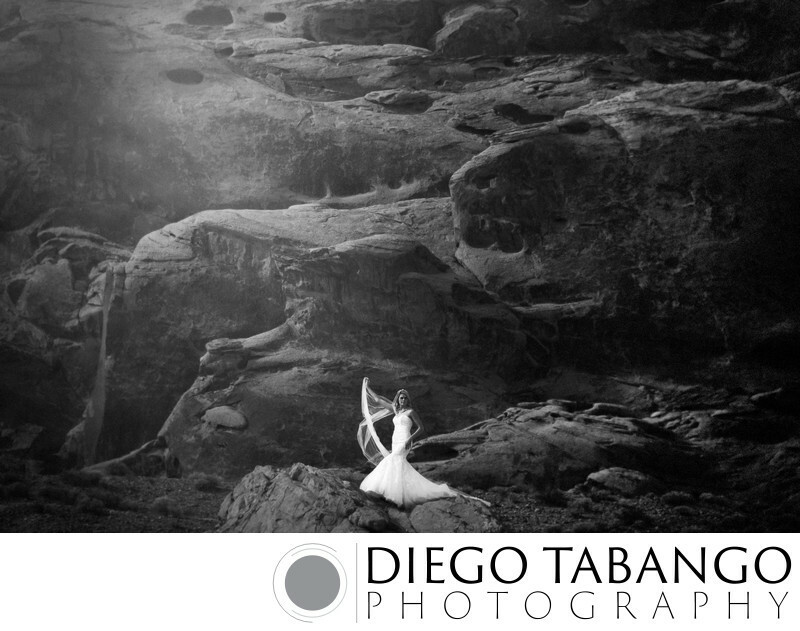 This gorgeous photo of the bride during her bridal session was taken at Panther Beach just North of Santa Cruz, off of highway 1. A wedding photographer's dream to shoot in locations like this. Here I used a Fuji X-T2 with a Fujinon 10-24mm lens. Location: Valley of Fire, Nevada.